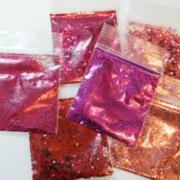 Why the price of degradable glitter is very high? Yesterday I meet a customer in UK,he is very interested in bio-glitter. We talked about the price and he is very confused why the price is much higher than PET glitter. So why the price is higher? First,the price of the orginal film of the bio-glitter is much higher than plastic. Second,the orignal film of the glitter is different,made from plants,is very easy to tear apart when you are producing,so we need more materials and more labour than usual. Third,we pay a lot of money and energy on invention,that is a kind of cost too. Fourth,the demand of the bio-glitter is much less than PET glitter now. In summary,the price will be lower since we have large orders. https://www.fineglitterpowder.com/wp-content/uploads/2018/09/92.jpg 640 640 fineglitterpowder https://www.fineglitterpowder.com/wp-content/uploads/2018/09/logo.png fineglitterpowder2018-09-28 03:40:552018-09-28 03:40:55Why the price of degradable glitter is very high?